How Healthy Are Your Vintage Synthesizers? Nothing appeals to most electronic musicians more than a home studio filled with vintage instruments. 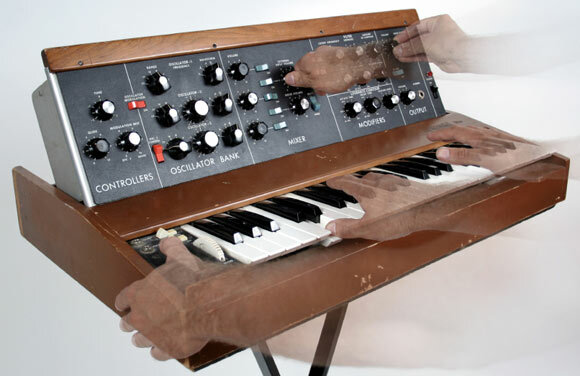 But few of us stop to consider the responsibility we take on by purchasing an old Moog Memorymoog, Sequential Prophet-5 or even a mammoth E-mu Emulator II: They require constant care and attention. I’ve owned a number of classics and have become fairly used to popping them open from time to time for a bit of calibration or a quick fix. To make matters worse, there’s a dark cloud looming on the horizon: Many electronic designs from the 1970s and 1980s don’t age well. If you’re not careful, your beloved vintage instrument can be seriously damaged by leakage from the battery that preserves its patch memory, or fall victim to chip or component failure. Here’s a quick look at some of the most common problems that can befall older instruments. Backup batteries: Flash memory didn’t exist 25 years ago. Most instruments included a tiny battery whose sole purpose was to keep your precious patches alive when you turned off the power switch. They typically lasted a year or two before needing replacement. I suspect that many old synths (and drum machines) have been left unused for years and the batteries are long dead. The danger is that the battery will start to leak corrosive chemical goo onto the surrounding circuit board. This has the potential to kill an instrument without any warning. If you have an instrument from the early 1980s that hasn’t been used for a while, it’s worth getting the battery checked or replaced as soon as possible – just in case. LCD backlights: Many older LCD backlights were only designed to give a few thousand hours of use. These EL (electro-luminescent) backlights also fade over time. Luckily, a dead backlight won’t cause any lasting damage and drop-in replacement parts are often relatively easy to find for many “off the shelf” 16×2 or 20×2 character displays. Old capacitors: Most older synthesizers contain dozens or even hundreds of discrete capacitors. They do boring but vital things like power smoothing and decoupling. But capacitors don’t age gracefully. As an example, some electrolytic capacitors are made with oil-impregnated paper. As the device ages, the insulating plates dry out and its performance can change drastically. This has serious ramifications in power supplies, where the caps may no longer do an adequate job of smoothing the input voltage. It can also impact the musicality of discrete analog filters and the stability of analog oscillators. The solution is fairly simple but labor intensive: Get them replaced, especially if you have a valuable analog instrument from the early to mid 1970s. Logic ICs: Many old CMOS chips had a life expectancy of less than two decades. This means that many of the logic ICs used in designs from the early days of digital control (the late 1970s through the mid-1980s) are on their last legs. The logic errors caused by marginal chips can be incredibly frustrating and time-consuming to diagnose. The good news is that common devices, like 4000-series logic chips, can often be replaced with modern equivalents, although this can be costly: there are dozens of 4000-series devices in a single Prophet-5 or Korg Polysix. Custom ICs: I’ve saved the scariest problem for last. Many designs used custom or semi-custom ICs. These include single-chip filters, oscillators, envelope generators and so on. These custom manufactured devices have no modern equivalent; if they fail, you’ll need to replace them with an unused vintage chip. Replacement ICs are becoming incredibly hard to find – companies like Wine Country Productions, who specialize in the repair of Sequential Circuits instruments, have run out of vital components for some instruments, such as the Curtis CEM3389 VCF/VCA used in the Prophet VS. If an irreplaceable chip fails, your only option is to cannibalize another dead instrument. I haven’t even touched on other common problems such as a lack of 5-1/4 and 8-inch floppy disks for instruments like the Fairlight CMI, E-mu Emulator or PPG Waveterm. Keyboards and sliders also see a lot of hard use – many instruments were abused early in their life, and sticky and corrosive drink spills can cause untold damage if not properly cleaned. Hopefully, my brief overview has given you something to think about. If you own a vintage instrument, please have it maintained by a qualified technician on a regular basis. It might seem like an extravagant waste of money, but the alternative could be eternal silence.